Our June 13 meeting was fun, but it also spread the word on lots of other stuff happening around Austin that involved AUS members. 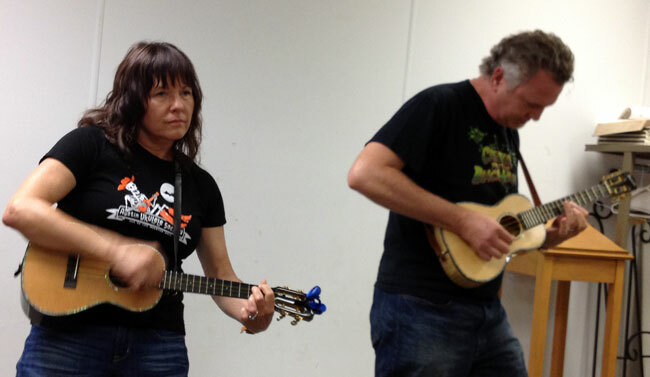 After the meeting was the “Voyage to Uketania” show at the Sahara Lounge, and then on Thursday, June 20, Deb Porter comes to town to do her “Shine when you sing with your ukulele” workshop and concert at our home base, the Memorial United Methodist Church. It’s at 7 p.m.–you won’t regret it if you come and join us! It’s for those who want to sing as they play more effectively. On Saturday, June 24, a group of AUS folks will be performing to enhance the weirdness of the Keep Austin Weird run and festival. (We’re playing between First and Lamar at 7 p.m.) Hope we’ll see you at at least one of these events. 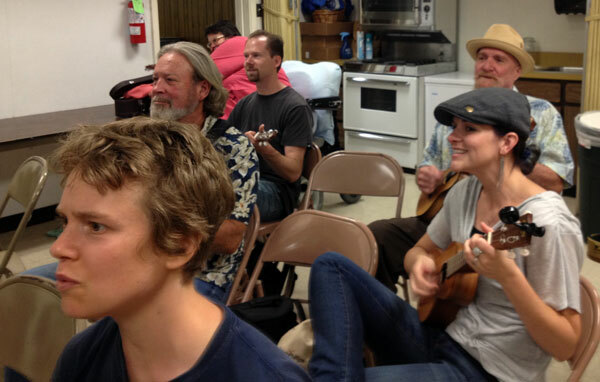 We had some uke-playing visitors from Houston dropping by, too–Julie, Buck, and David (here they are, on your left). What did they think of our meeting? They left before I could find out. Our new song (an old song, actually) was House of the Rising Su n. It doesn’t seem as if it would be all that difficult to play, but Bob deliberately avoided leading us down the path of performing it with that “light, happy uke strum” that so many uke players use. So it took us a while to catch the more intense strum and the rhythm he taught us. We played it as we usually do–we spent some time with it near the beginning of the meeting, and then came back to it at the end. By that time, we’d had enough time to digest the tricky strumming pattern, and it sounded pretty good. In our “open non-mike” section, both Bobs, along with Bill and Kathy, Kendall, and yours truly (Walter) performed, as always, a mix of styles and songs. It appeared that a good time was had by all (although I still don’t know what the Houston folks thought). Don’t forget to join us at our Deb Porter workshop/concert at Memorial United Methodist Church (6100 Berkman Dr., Austin) at 7 p.m. on Thursday, June 20. And our next meeting is scheduled for Thursday, July 11, from 7 – 8:30 p.m. at–you guessed it–the Memorial United Methodist Church. Will we see you there? Hope so. 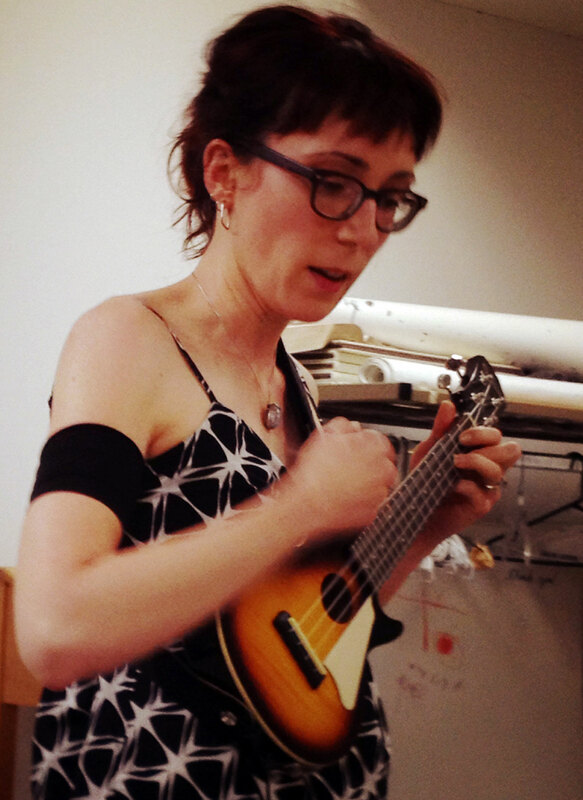 This entry was posted in AUS activities on June 19, 2013 by Austin Ukulele Society.